Welcome to Lilac 10, where once a month I create a personal top 10 list related to anime and all it’s glory. 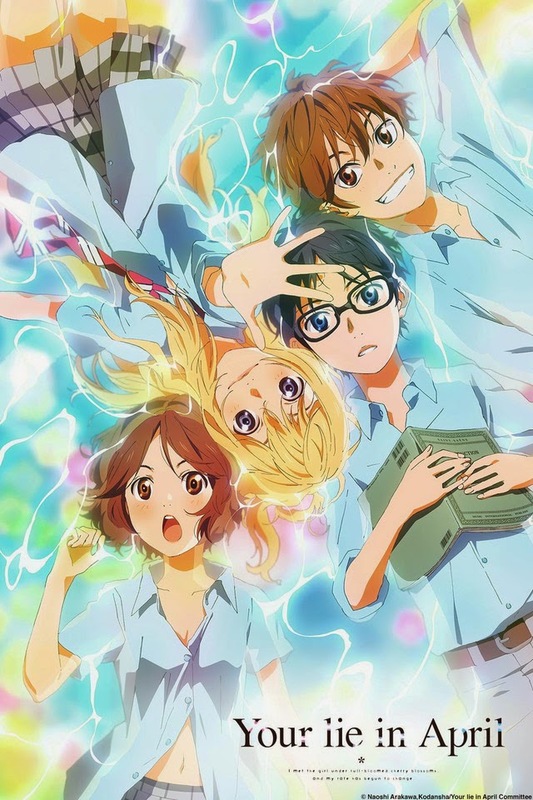 2014 may be gone, but it did manage to give us some amazing anime to watch! So, today, we’re going to revisit those series! However, I don’t think just going with the regular 10 spots is enough. I think we need some more in there. So, here are my Top 25 Anime of 2014! Yes, I know it's a difficult task to take on, but I'm certainly up for it! Just a couple quick ground rules I set for myself. This list is comprised of anime that premiered, and that I completed, during 2014, meaning any leftovers from the Fall 2013 season are not on this list…. Mostly. Also, for the sake of the Fall 2014 series that are in the 22-26 episode range, they may be included however it’s possible they could rank even higher or lower once said series is completed. Let’s get started!! Lilac's Note: For the sake of time, I have made this month’s Lilac 10 into a written form instead of the normal video. I apologize for any bit of laziness on my part, but there’s a lot of other work to be done and writing this out instead of making a video saves me a lot of time. Next month, I will be returning to the video format. Thank you for understanding! 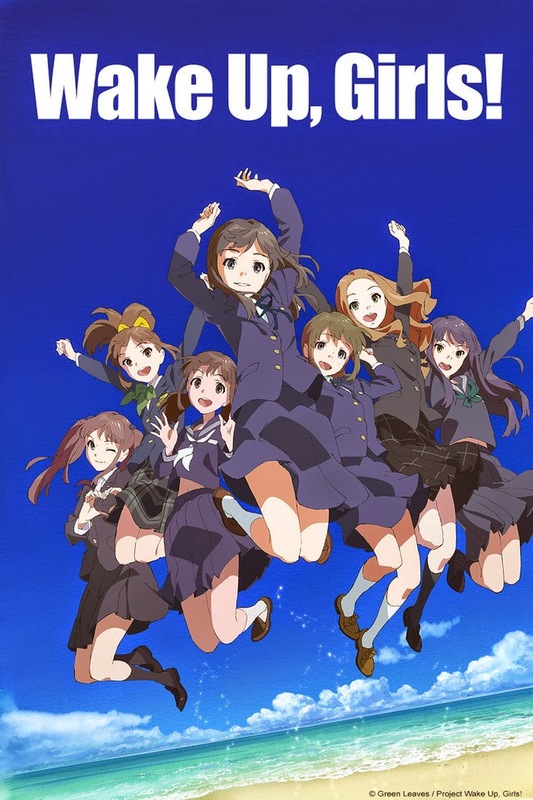 The world of idols was something really foreign to me before 2014, and Wake Up, Girls! was the series that started enlightening me a little bit. This series is among the more realistic idol series that I’ve heard about alongside Summer 2014’s Shonen Hollywood as it takes the rise of idols into a different direction. For Wake Up, Girls! it’s a simple watch and easy to get through with the characters being what really stand out the most. The story and characters are what help make this series stand out thanks to the struggles of a freshly put together idol group. Though, it also may or may not help that there is actually an idol group called Wake Up, Girls! in Japan and those same girls actually voice their respective anime characters. I guess what I’m trying to say is, I enjoyed the series for what it is: a charming and very watchable series that has heart to it. 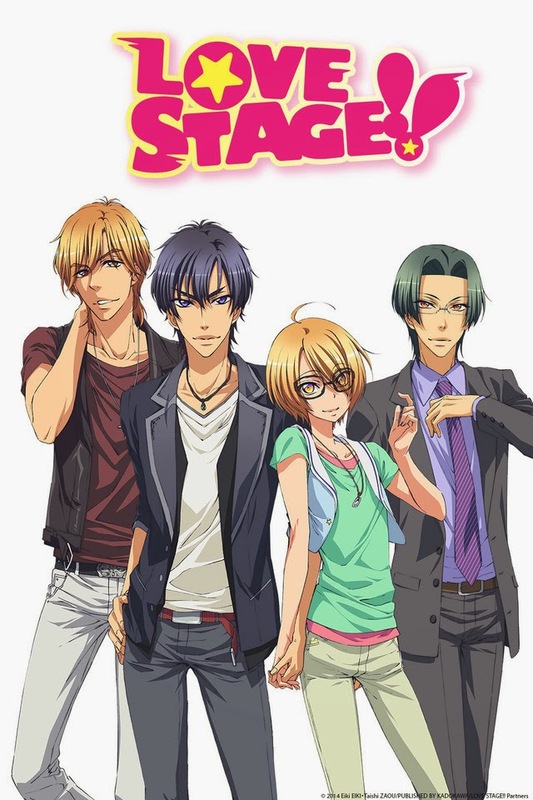 2014 didn’t just have me expanding to the idol and sports genre, but I also took a chance on the Boy’s Love, or BL, genre, and that’s where Love Stage comes in. What the series really is is a romantic comedy that involves a gay couple who never really are aware of it early on. It’s easy to enjoy thanks to the colorful animation and the humor that it has; giving it some self awareness as to being a BL series. Sure there are some rather intimate scenes but that really just comes with the territory. The story and characters are what really make the series fun and enjoyable, and it’s probably the best introduction I could ask for into the BL genre. Sometimes a description like “this series is based on the popular card game” is the only thing I get to go on for a series. This was literally the case for Rage of Bahamut, making me a little hesitant starting out. But holy crap I’m glad I didn’t skip it! This action series is bombastic and full of fun moments that make it something memorable from the Fall season, with Favaro being among my, and certainly many others, favorite character. 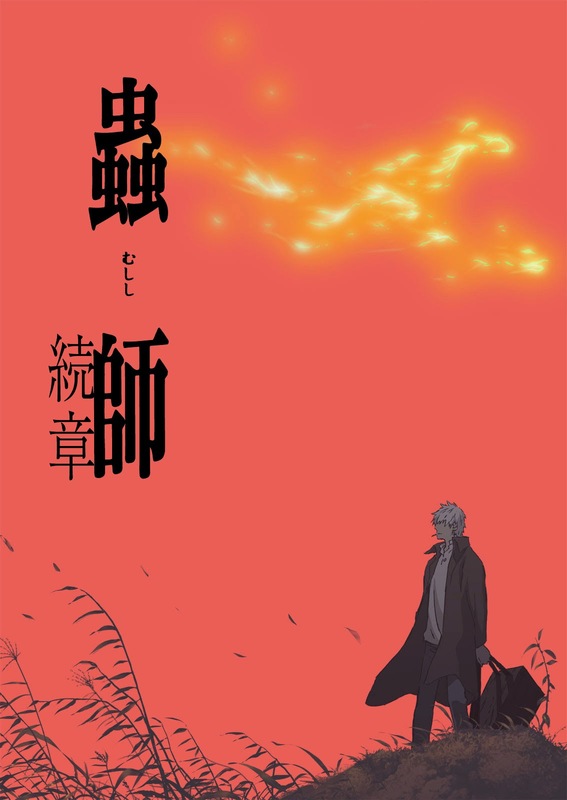 Granted, it did start out a tiny bit similar to Samurai Champloo, in my mind, but as the series progressed it began to shine even more. Although the story isn’t extremely special, it’s not terrible either and made for some mindless fun every other week when I got to watch it. People know that I have some mixed feelings in regards to Black Butler. I love the first season, but despise the second. But I found the dub so lovely regardless. However, at the time, the likelihood of there being more to the series was rather slim. And yet, here we are with Black Butler: Book of Circus. It doesn’t really fit anywhere in terms of time line within it’s prior seasons, but I honestly think it was the best season I’ve seen of the series yet. From what I’ve been told, this arc is one of the most popular in the manga so it makes sense to finally animate it. Then there’s the fact that, since it was my first time watching the series in Japanese, I now understand why Diasuke Ono is amazing and why he is rather popular as I throughly enjoyed his performance as Sebastian. But let’s not forget someone else who has had a busy year, like Ono, and that is Mamoru Miyano who voices Joker in this series and who is also wonderful. 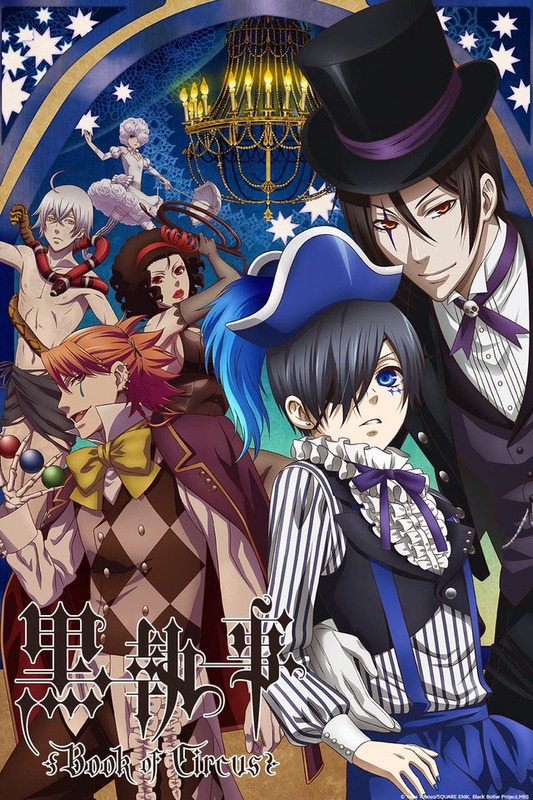 Personally, I’m just glad that there was another season of Black Butler and I’m equally as glad to know that FUNimation will bring the ever wonderful duo of Brina Palencia and J. Michael Tatum back to reprise their roles in the near future. Who could have ever imagined an anime version of an already popular tokusatsu series? Not me, but here we are and here is Garo. What I love about this series is that you don’t need to see the live action show because this one takes place, probably, centuries beforehand. 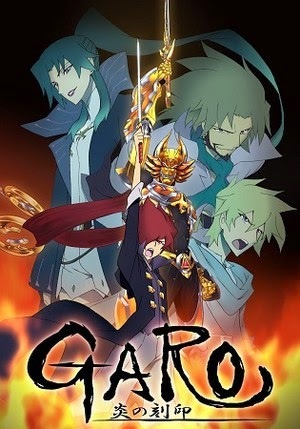 Garo is one of the more action packed series I’ve had the chance to watch this year, but it’s also one of the more mature and yet rather corny and full of humor. It’s kind of like they took the look and tone of Garo and kept something similar for the anime. Garo is one of the more mature tokusatsu series from Japan and yet it also has some silly humor to lighten up the mood hence why I say it’s rather similar to the live action series. This is a series where it’s possible for it to rank higher though because, as of writing this, the series is yet to be finished. At the same time, after watching 12 episodes, the first half of the series kinda ended a little poorly, in my opinion, so I'm really hoping the second half will pick up again. 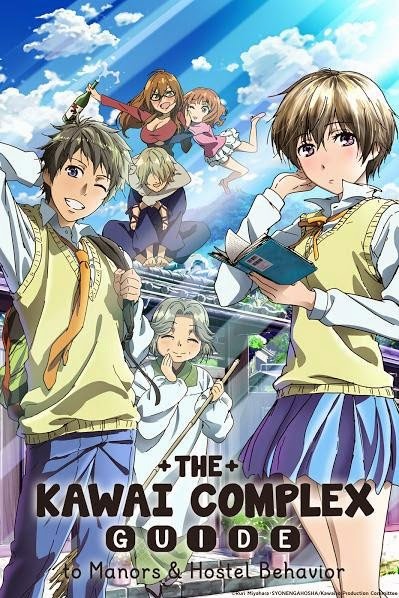 Spring of 2014 was the beginning of some really amazing comedies to come out for the remainder of the year with Kawaii Complex leading the pack. This beautiful looking series from Brains Base was something that a lot of people enjoyed because of the characters and their different quirks and personalities. The story may not have had something consistent outside of the attempt of getting into a relationship with another tenant, but that’s perfectly fine because the charm and hijinks these characters go through is what really makes the series shine. But that doesn’t mean the story is botched as the writing has it’s rather clever and witty moments, helping enhance the humor and appeal of the overall show. There are many reasons why MadHouse is one of my favorite animation studios, but one of them is because they know how to cater to my love of horror and psychological. 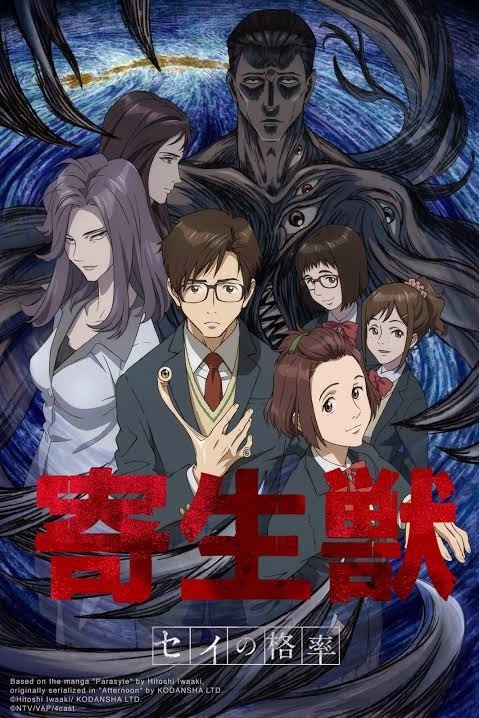 And thus, the fall season gave us Parasyte -the maxim-. This series shares a few things in common with another entry on this list, those being a teen suddenly being thrown into a world they never understood and begins to change over time because of that world. What makes Parastye more interesting is the partnership between Izumi and Migi as they both learn from each other, but they also have an effect on each other both good and bad. There are a few moments where the series is kind of dry, but that’s the product of a very faithful adaption of a manga that came out in the 80s-90s… Minus adding in technology to the anime and trying to modernize it a bit. Either way, I’ve been liking it so far and plan to keep following it over the winter. What will be interesting, however, is watching it alongside it’s cousin’s second season. Diasuke Ono was on a bit of a role this past year. Not only did he portray Greek God Hades in Kamigami no Asobi AND reprise his role as Sebastian for some Black Butler fun AND play the lovable Handa in Barakamon, he also played a fox deity named Kokkuri-san. Gugere Kokkuri-san was one of those series in 2014 that had me laughing from start to finish. With a wide range of characters and personalities, it made for some great humor and crazy situations. It was among the better comedies of the year, with the writing and characters among it’s strongest points. It was also the comedy that had no fear and wasn’t afraid to go into different areas and just lay it all out for you. Just go watch it if you haven’t yet. Brains Base tends to be rather consistent with there series, and I think they had a rather nice year with four series under their belt including the ever lovely One Week Friends. This short series has a different look and feel compared to others that I’ve seen this past year, and yet it also has a calming presence that can make your heart all tingly inside. With a simple premise and rather likable characters, this series takes what you would normally think is your cliched high school romance and actually makes it much more captivating. Good on you Brains Base. You did need something after that mess called Amnesia…. Yes, I’m still salty over that one. For romance and fantasy it can sometimes make for some interesting series, both good and bad. But for Yona of the Dawn there are a lot of things that make it one of the good ones. Though some of the basic plot elements are recycled from other shows, it still manages to use amazing writing and character development in order to take it to another level, with Yona’s character being the biggest draw. 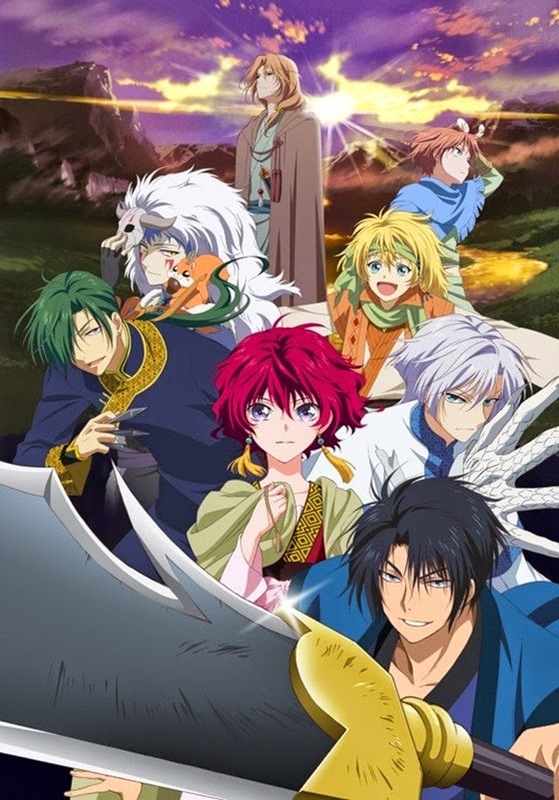 As you watch the series, Yona begins to grow from a naive and spoiled princess into someone capable of fighting and desiring to learn more about the world that she had been sheltered from. And if you’re wondering about the romance part of it all, the romance that we see in the series between Yona and Hak actually grows at a decent pace which makes me rather happy, with Hak really being the one with feelings and Yona just being dense. This makes for an interesting and different dynamic than we’ve been seeing in recent memory. I’ll be very interested to know where the series will head as I continue it this winter. When it comes to looking and deciding on what series I plan to watch during a given season, more often than not I tend to base my choices on the basic summery and maybe some of the staff that is involved in the show. 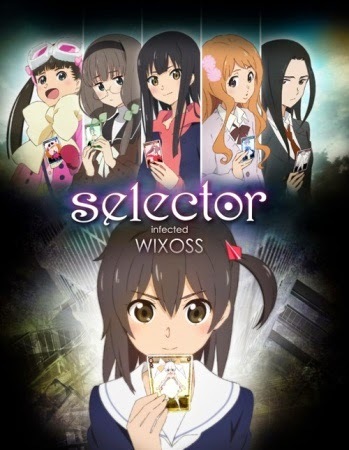 However when I made my list of anticipated series for spring 2014, I also looked at trailers and that’s how I became hooked on Selector Infected/Spread WIXOSS. It has some interesting qualities that are actually similar to Madoka Magica, but in playing card form. At the same time, this is not Madoka, it is far from it. With Selector, you just instantly get sucked into the story and everything that goes on in between. It honestly is that addicting of a show! Although people may call it a Madoka rip off, it has qualities that make it special and enjoyable. I mean, how often is there a kind of psychological twist in a show where there are cute moe girls? ….You know…. Aside from Madoka. I’m a 90s kid, and proud of it. And something that came out of the 90s was a very long running series called Detective Conan, also known as Case Closed here in the US. But, sadly, it’s one that I will probably never get to complete. 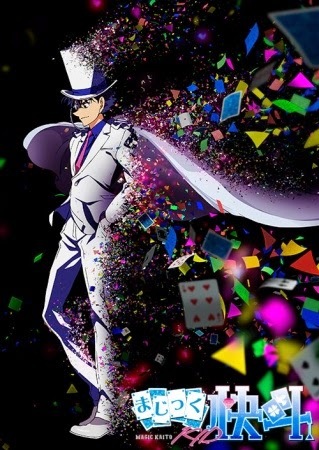 When I found out about Magic Kaito 1412, I instantly knew I had to watch it. Not only is it set in the same universe as Case Closed, but it’s characters do cross over into this story every once in a while. Magic Kaito is really just a kind of nostalgia trip for the 90s kids and fans of the Conan franchise with silly humor and fun moments while we get a better understanding of Kaito himself as the Phantom Thief does appear quite often in Conan’s story. With some charm and a dash of wit added in, you have a magical recipe for some fun times. And, even if you’ve never seen Case Closed, you don’t really need to as Kaito is the focus here. Though it will be confusing when you see Jimmy go to Conan. This is also a Fall 2014 leftover for me, currently, so you know the 90s kid in me will be all over this one these next several weeks! When you have a series that doesn’t exactly know what it wants to be, starting out, it kinda makes for some rather interesting results. For Hamatora this is one such case. When season one came out last winter it was trying a bunch of different things out to see what sticks like action, superpowers, comedy, and lot and lots of color. By the time the series reached it’s half way point, it knew what it wanted to be and it suddenly became one of my favorites from the winter season. Luckily, that momentum did not stop there as season two, Re: Hamatora premiered during the summer and put all it’s discoveries from the first season into full effect as it became something rather successful. With it’s fun, and rather humorous, approach to a complex world, Hamatora made itself both comedic and mysterious at the same time thanks to some rather decent writing. 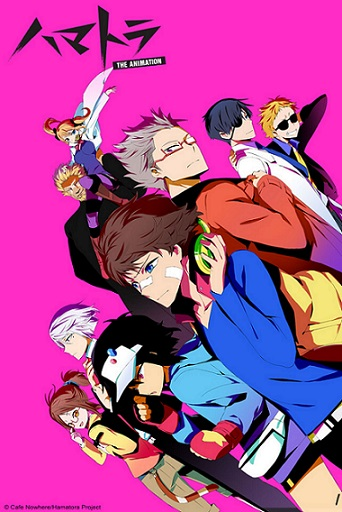 The start for Hamatora may have been rocky, but it ended in the best possible way. Okay, so here’s the entry that I’m doing a little bit of cheating with because I really wanted to include the first season of this series even though that first season aired in Fall of 2013. 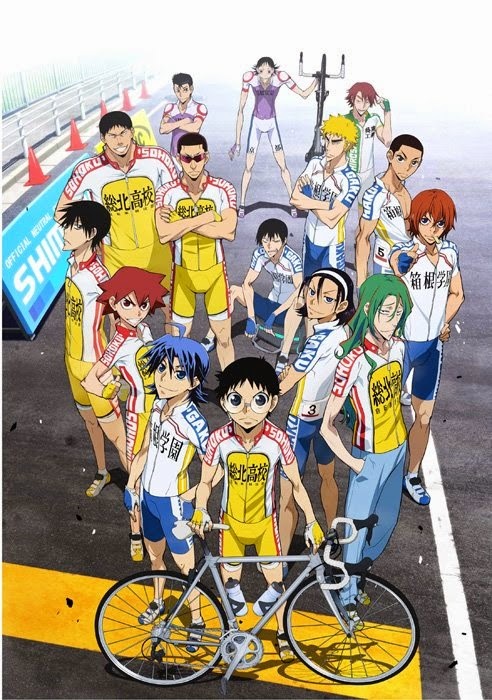 But, since the majority of season 1 was in 2014 and it’s second season did premiere in Fall of 2014, I think adding Yowamushi Pedal to the list is perfectly fine. It’s funny how sports anime can take on the same plot line approach as a shonen anime because the majority of this road racing series has been spent at the Inter High with only the first third of the series focusing on introductions and training. This is a series where all of the characters are enjoyable whether it’s the lovable otaku Onoda, tough guy Arakita, or even the cunning snake Midosuji. You’ll not only enjoy the characters, but you’ll be rooting for them as well! Plus you can’t go wrong with some of the humor the series has, mostly from the adorable little Onoda. With determination and the power of friendship, Yowapeda has been a fun ride thus far, and I look forward to finishing Grande Road this winter season. Although there have been a few idol series to come out this year, there was one musical series that didn’t need boy bands. Your Lie in April decides for a more story driven approach with classical music as the central element to tie everything together. Aside from the beautiful animation and outstanding soundtrack with those classical pieces, the series has something that’s simplistic in terms of story and characters, but also gives those characters complexity that everyone can relate to. When you put all the pieces together, you have yourself a wonderful piece of eye candy coupled with a well written story. At least, for the first half anyways because as of now, the series is continuing into the winter season. If you decide to watch this series, then prep some tissues because you will cry at some point while watching it. 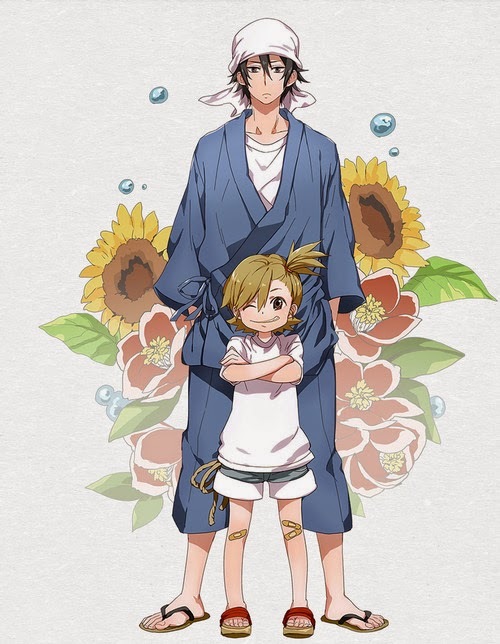 One of the least likely shows I saw FUNimation pick up in 2014 was Barakamon, but I’m glad they did because it certainly was a fun one to watch. It’s one of the more charming and energy filled series to have come out of 2014 with, once again, Diasuke Ono taking on the leading role. His interactions with Naru as well as the rest of the kids on the island not only made for some hilarious hijinks, but also for some of the best life lessons a person could ever ask for. It’s really one of those heart warming shows that you will laugh at and enjoy, but also relate to rather easily thanks to our cast of characters. Just do yourself a favor and go watch it, because I guarantee you’ll enjoy it! 2013 had a rather interesting series on our hands that involved friendship, the feels, and swimming. 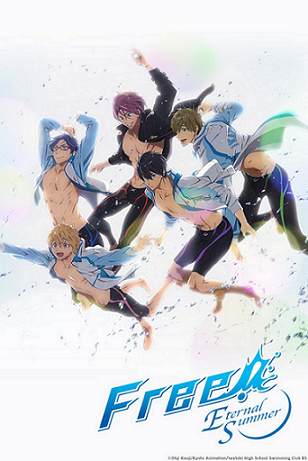 2014 gave us the second season of that same series titled Free! Eternal Summer. This time it focuses more on the pains of growing up as Haru, Makoto, and Rin face their final year of high school together and the unknown called the future. It’s certainly much more emotional then it’s prior season, as I’m pretty sure a good amount of us were or will be in the same position at some time. Also, because of so much hype we’re also getting a dub with a pretty solid cast! I’m very excited to see how the dub will pan out, but I’ll just be happy to relive it all over again once it’s released on DVD. It’s one of those shows that makes me so happy and it’s one that I think more people need to see! If we’re going to play the stereotype game with this entry for a second, I will admit that I do like romance series. But I like romance series even more if they have very strong writing and character development. 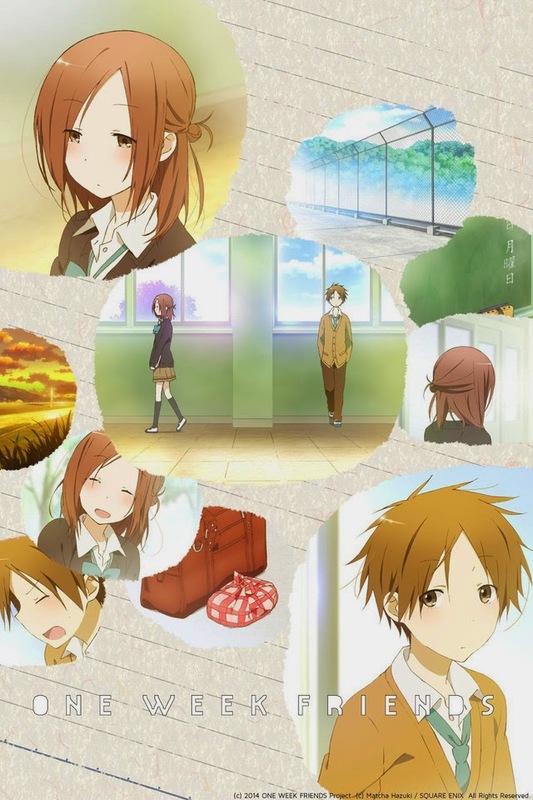 And thus came The World is Still Beautiful, one of, if not, my favorite romance anime to come out of 2014. At first glance, you may seem to think the series is a weird rapey kind of show with the age difference between our leading couple, but there was never a point where it was a problem because the relationship, itself, grew naturally as Nike and Livi, I feel, actually complete each other. It’s one of those romance series where the story and characters are so well done that it oozes charm and heart warming moments. If you’re going to watch a romance series from 2014, then you have to watch this one because it is beautiful. It’s been a decent amount of time since we’ve had a Studio Bones and Watanabe team up, and 2014 gave us that wonderful opportunity with the misadventures of Space Dandy. Dandy brought us back to the days of Cowboy Bebop since both are SciFi/Comedies and are episodic in narrative except for a few episodes here and there. But Dandy also did not take itself as seriously as Bebop did which makes it something new and fun to watch. Then there’s the fact that Space Dandy is the first anime to air simultaneously around the world, meaning an english dub for us westerners to go along with it. I have got to say that Dandy is among my favorite roles from Ian Sinclair, and I have an even greater amount of respect and admiration for him. Probably makes him one of my favorite male voice actors to date. Top 5, at least! 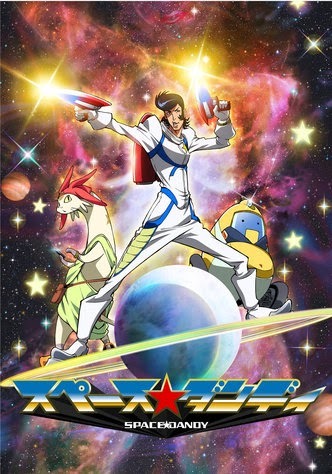 If you missed out on Space Dandy, then shame on you! Go and fix that right away! 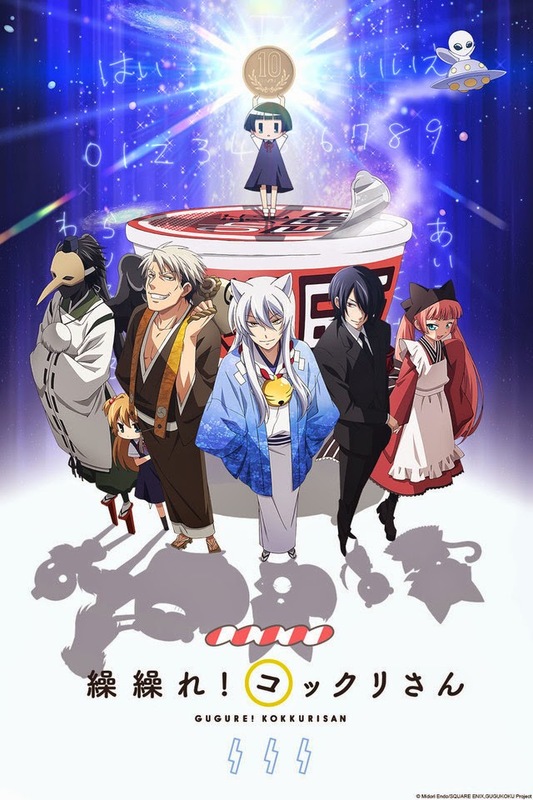 Studio Bones was on a bit of a roll this year with five series they produced: Soul Eater Not!, Captain Earth, Coffin Princess Chaika, the previously mentioned Space Dandy, and Noragami. 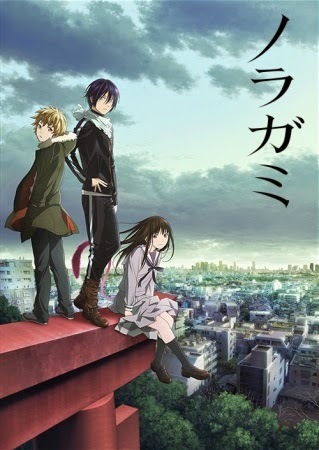 Noragami was one of Bones’s series, this past year, to really go back to what a Bones show is. It’s rather reminiscent of Full Metal Alchemist mixing the action and comedy together wonderfully. The characters are rather enjoyable and the story is written well. The only downside to all this is, there is a possibility of a second season thanks to how the series ended but, as of writing this, there has been no announcement of one. It’s rather depressing actually, because this was one of the winter shows that I couldn’t help but fall in love with the most. Like the idol genre, the sports genre is still fairly new to me. 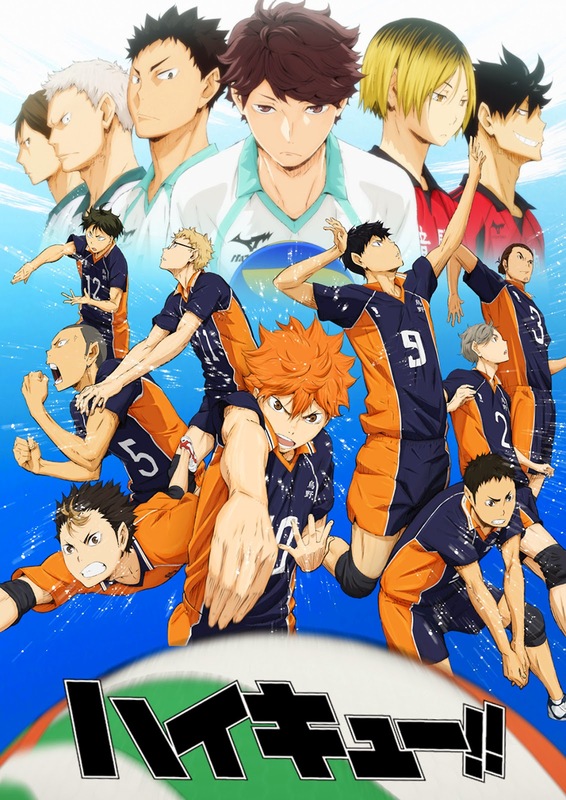 However, I’m pretty sure I found my favorite sports anime in Haikyuu!! If you want something really charming and with, what I consider, to be an amazing ensemble cast then watch this series. From the wonderful humor to the varying personalities of characters and even to volleyball itself, Haikyuu is one of the more heart warming shows of 2014. 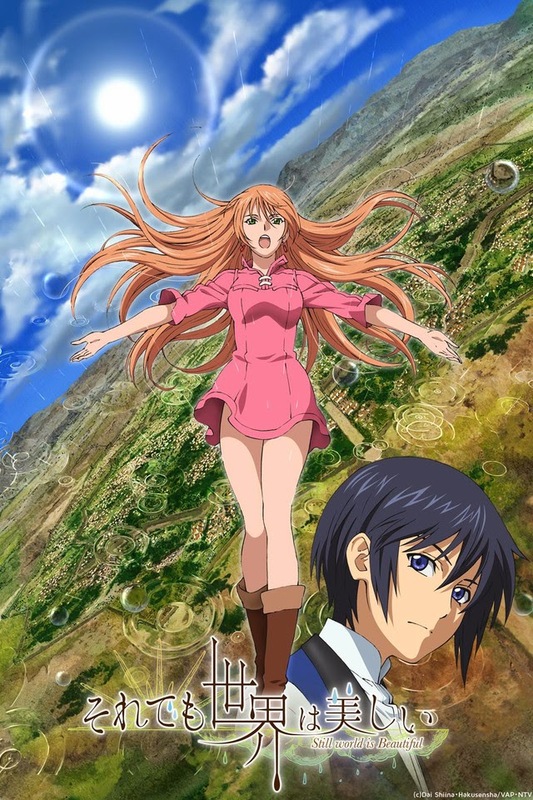 Although the series ended on a tiny bit of a sour note, it still gave a really good ending with the possibility of a second season up in the air, and, as far as I am aware of, that possibility maybe turning into a reality in the coming months. YES!!!! Although Kawai Complex began the year of comedy for 2014, it was Monthly Girls’ Nozaki-kun from the summer season that really solidified it. This parody of shoujo manga is one of the most amusing and fun comedies I’ve seen in a very long time, with each episode having me stop and go because I was laughing so much that I had to pause it so I didn’t miss anything. 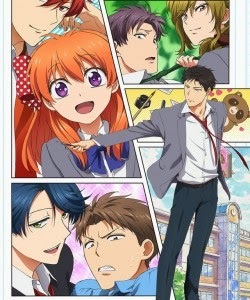 With the characters taking on the role of stereotypical shoujo character parodies, and Nozaki’s odd understanding of romance, you know you’re in for something drop dead hilarious! Like World is Still Beautiful, if you have to watch one comedy series from 2014, make it Nozaki-kun because you just can’t go wrong with this one! 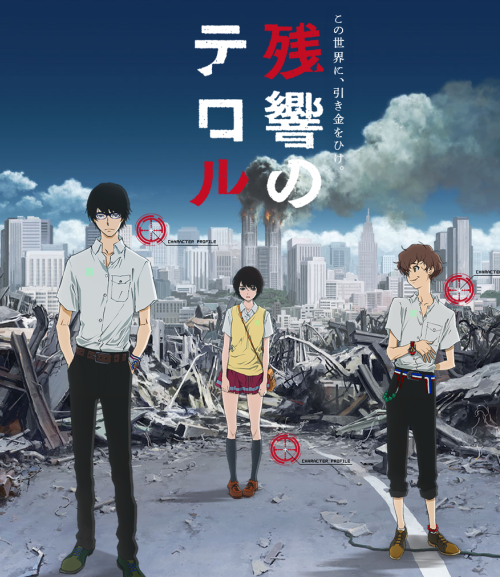 Watanabe didn’t just give us Space Dandy this year, but he also gave us Terror in Resonance one of the more darker and serious of his works to date. 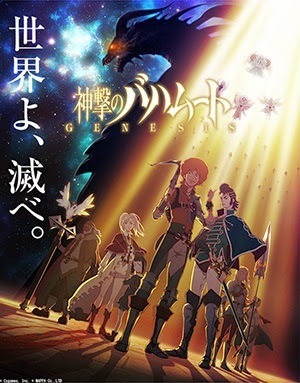 It was one of those series that I could not stop watching, even if I wanted to as it has both action and mystery to it. Plus our main cast of characters were a rather interesting group to follow, especially Nine and Twelve as we don’t know anything about them until the final few episodes. This series just has something special to it, and was one of the ones I could not stop talking about from beginning to end. It may not exactly be the strongest series in Watanabe’s repertoire, but considering how well done all of his work is, it’s actually not that much of an insult. So… You’ve probably been wondering when I’d be talking about this final series because, ya know, I’m a horror fanatic. 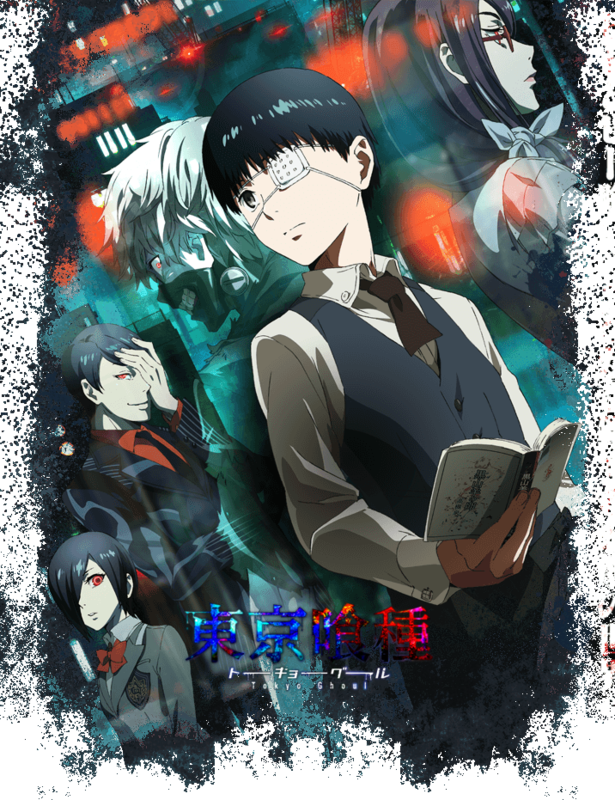 But I suppose now is a good a time as any to talk about Tokyo Ghoul. This series has just been one hell of a ride from start to finish, or kinda finish, as it mixes both action and psychological elements together seamlessly. Granted, I do have my slight complaints with some of the writing since the Gourmet arc was taken and placed smack dab in the middle of the Dove arc, but really that’s the only major complaint I have. The animation is amazing, the story is amazing, and the characters are…. well…. amazing along with the performances with, once again, Mamoru Miyano joining in as the Gourmet Tsukiyama, making for a rather crazy and enjoyable performance. And I dare say that Tokyo Ghoul has one of the most beautiful and tragic mid season finales of the year, and I will stand by that statement no matter how much people may disagree with me. With it’s second season currently airing, It’ll be interested to know how the series plans to go during this second half, and I just hope that it doesn’t disappoint. There you have it! Those are my Top 25 Anime of 2014. Tell me your favorites of the past year in the comments below! If you have any ideas for future Lilac 10 videos and such feel free to shout them out to me as well! Until next time, otaku on my friends! Receive 5 Star verified winning picks on MLB, NHL, NBA & NFL + Anti-Vegas Smart Money Signals!! !